He wore a Rudolf hair accessories, exposing the angelic smile. He was either wearing a dunce cap, or stick a red nose just like Rudolph, constant posed funny action. 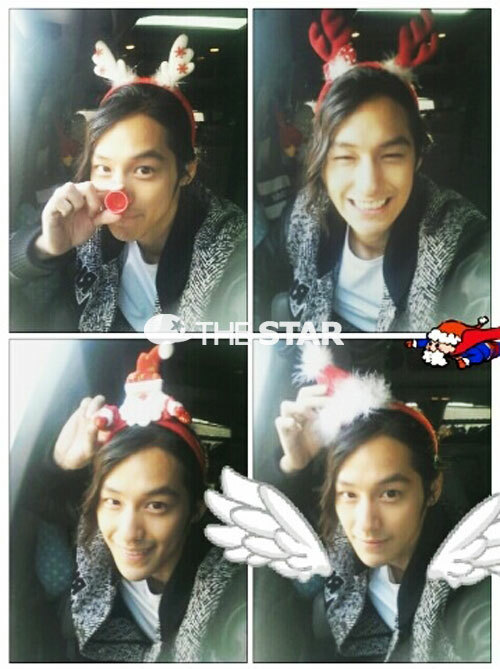 Netizens replied, “Kim Beom who has been called the angel is actually Rudolph,” “Ah, even more beautiful than me who is a girl,” “the smile is too charming,” and so on. Kim Bum is filming JTBC’s Padam Padam… The Sound of His and Her Heartbeats.